A study published in the American Journal of Clinical Nutrition reported that high blood levels of vitamin C were associated with a 45 percent reduced risk of inflammation, and high fruit intake was related to a 25 percent reduced risk of inflammation. Scientists have long noted that vitamin C plays a key role in building and protecting collagen. 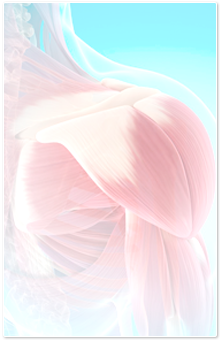 Collagen is an important part of the cartilage, which cushions the joints as they move. In osteoarthritis, the cartilage wears away and becomes less efficient. Seeking ways to offset the fact that your ability to maintain normal cartilage structure decreases with age, some comprehensive studies show that specific compounds in cherries, blackberries, and blueberries help in cartilage formation and prevent cartilage destruction. Less cartilage destruction means less pain and greater mobility as you age. Diet for a Pain-Free Life: A Revolutionary Plan to Lose Weight, Stop Pain, Sleep Better and Feel Great in 21 Days, ADA...sound nutritional advice...do-able, delicious..a godsend to pain sufferers.